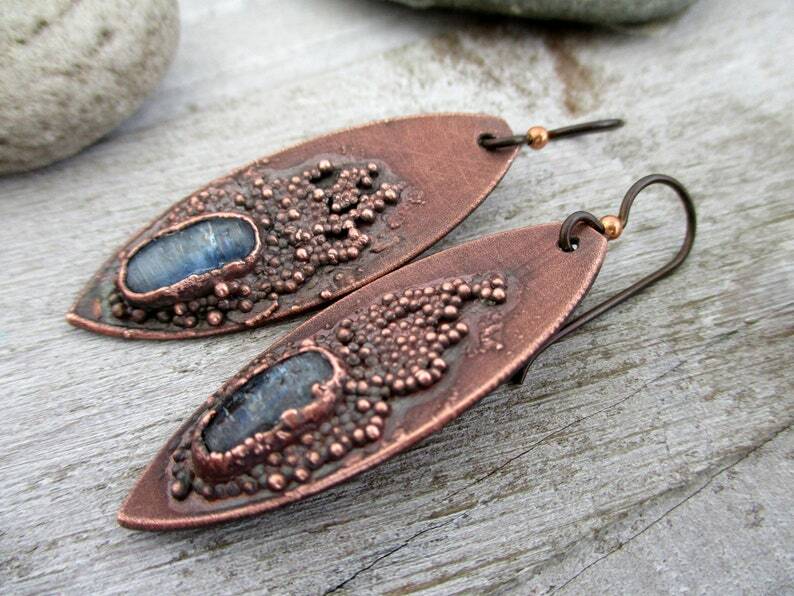 Natural Blue Kyanite stones are set onto textured copper and electroformed in a process that takes days from start to finish. They are oxidized and polished, sealed with microcrystalline wax. Hung on Niobium earwires with a tiny copper bead, these are unique and one off earrings.